We love writing about football boots – not just because we love cleats, players and the beautiful game itself – but also because it lets us write the words ‘Mango’ and ‘Laser’ in the same sentence. 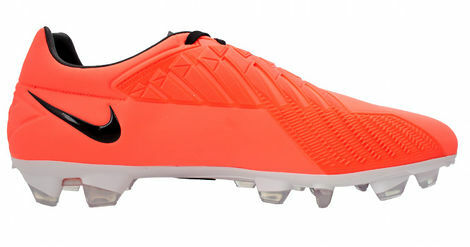 Here’s the Nike T90 Laser IV – Bright Mango / Black. ' Boom. 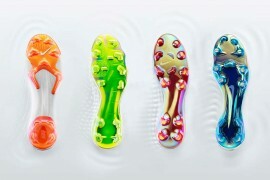 It’s fair to say the Nike T90 Laser IV' is getting on a little bit now. 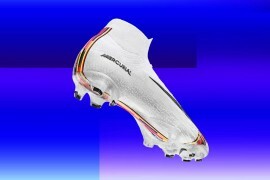 At basically 18 months old, the Laser IV has seen the end of the Superfly III and Vapor VII, the arrival of the Vapor VIII and even the introduction of the Vapor IX. In fact, by Nike standards its positively ancient. It’s a testament, then, to the style of the shoe (and Nike’s design team) that the Nike T90 Laser IV' – Bright Mango / Black' looks astoundingly fresh in it’s new colourway. Carrying on the standard set by the absolutely killer ‘Volt/Black’ colourway launched at the start of the year, Nike have again opted for a solid upper colour – in this case, the same Bright Mango hue we saw on the launch iteration of the Vapor VIII. Rather than a separate' colour for the adaptive shield, or a set of graphics along the upper (which were commonplace on previous models), these last two distinctly solid colourways seem to have given the Laser a new lease on life. 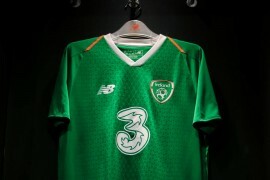 This also marks the fourth colourway on which Nike have used their new ‘ACC’ technology. The All Conditions Control coating is specially designed to offer consistent levels of friction on the ball, even in bad conditions. 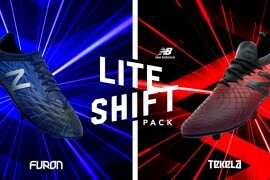 Team that with a premium Teijin synthetic upper, TPU soleplate and an Adaptive Shield striking zone for incredible instep shot and pass accuracy, and you’ve got a great all-around boot that strikers and other forward players will love. 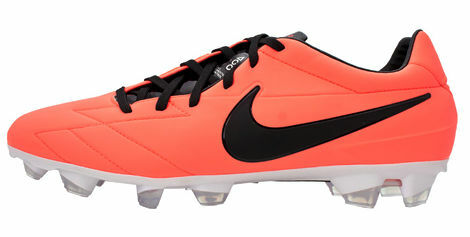 Will you be picking up the Nike T90 Laser IV' – Bright Mango / Black' when it launches on March 28th? awesome colorway, but i agree in that 18 months is too long. any rumours of a newer t90, or?